Kundalini Yoga Immersion Next offered in Palm Beach, summer 2019. Scholarships available. This is a 100-hour course for those wanting to deeply experience Kundalini Yoga, as taught by Yogi Bhajan, and understand more. This inspirational, transformational experience enhances your path and grows your spiritual being. We meet over several months, some weekend days and in weekly classes to build your experience. Tuition includes all you need to deepen your practice within a supportive, conscious yogic community. An amazing journey awaits! This immersion is a fantastic preparation for serious students to later attend the Kundalini Research Institute Teacher Training (Yoga Alliance RYT 200-hour recognized), details below. 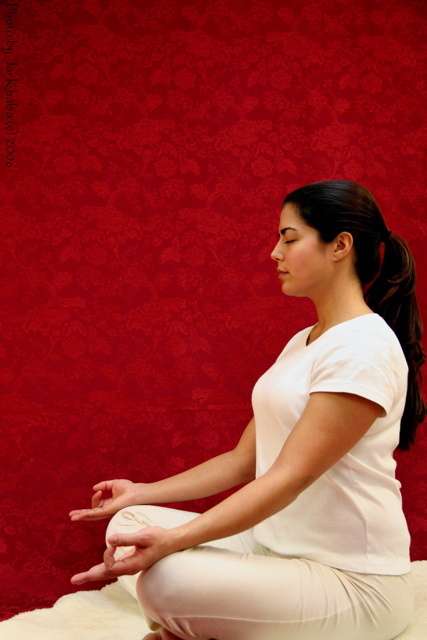 Kundalini Yoga Teacher Training For KRI's next Palm Beach county FL training, see Yoga Source. Cristin is part of KRI Level 1 team, Sept 2018-March 2019 in Asheville, NC. In 2012, Cristin was invited to be an Associate Trainer after three years helping build the Ghana Yoga! community and training teachers with her mentor, Lead Trainer Krishna Kaur Khalsa. This is the international training in Kundalini Yoga, as taught by Yogi Bhajan (recognized by Yoga Alliance as Kundalini Research Institute RYT 200-hour training). It's for you, if you long to teach or accelerate your yoga practice and spiritual development in a very transformative, powerful way. The focus is on foundations and awakening, and gives a lifelong basis for a successful practice, providing tools and comprehensive training to learn both theory and techniques. You gain knowledge and self-confidence to make a difference in yourself and the world around you. More details here! Radiant Child Yoga Program Training Immersion Schedule here. Scholarships available. This is for parents, certified and aspiring yoga teachers, schoolteachers, day care/crèche staff, nannies, therapists, and anyone wanting to GIVE CHILDREN THE GIFT OF YOGA. The vision is to share the benefits of yoga with children around the world. ~12,000 people have completed training! This insightful 30-hour program is designed for all yoga traditions/levels and all levels of experience with children. You earn a Certificate and will be listed on teacher directories: www.childrensyoga.com and www.kidsandyoga.com. Course recognized for CECs with schools, therapy organizations and Yoga Alliance (toward RCYT status). 50% lecture/interactive, 50% practice and serious fun! Cristin became a Trainer in 2005, has offered ~40 trainings worldwide. Radiant Light Pregnancy Training Dates to be announced for program launch, maybe Fall 2019.